We're good to go for Lucas' museum. 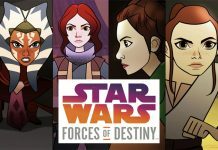 She shares some thoughts on this new Star Wars animated micro-series. Update your artwork collection with some new pieces from the SDCC Art Show. 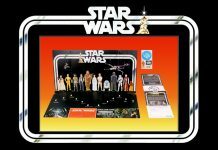 The team reveals Gentle Giant's SDCC Star Wars exclusives, talks with prop restoration master Tom Spina, has fun on the ILM mo-cap stage, and more! 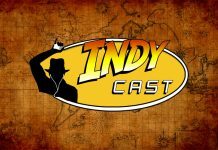 Iden Versio from Star Wars Battlefront II spends some more time on The Star Wars Show. The voice of Zander Freemaker chats with Anthony Carboni. In this installment of The Star Wars Show, we talk with Star Wars Battlefront II's Janina Gavankar, visit EA Play, and more! Watch 15 minutes of the first gameplay reveal of Star Wars: Battlefront II at EA Play during E3 2017. 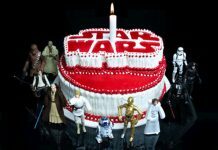 Interview with Mayim Bialik, announcement of a new Star Wars pinball machine, browse the halls of Lucasfilm, and more. 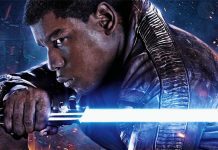 Check out Finn's blaster of choice in Episode VIII. 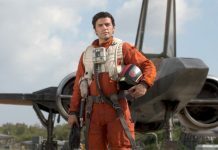 The dynamic between Poe and Leia is set to increase in Episode VIII. A classic poster design receives an update to celebrate 40 years of the franchise we love so much. 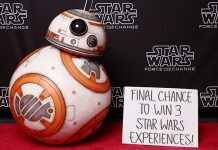 He may wield the power of the Force, but he's also a Star Wars super fan like you and me. 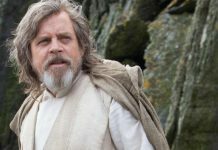 New details on Star Wars: The Last Jedi, interview with author Timothy Zahn, celebrate the 40th anniversary of Star Wars with the cast of Hamilton, and more! 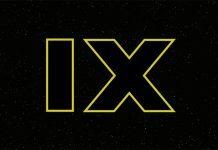 Cameras are scheduled to start rolling on the final film in the Sequel Trilogy in January. Time's almost up for your chance to enter.